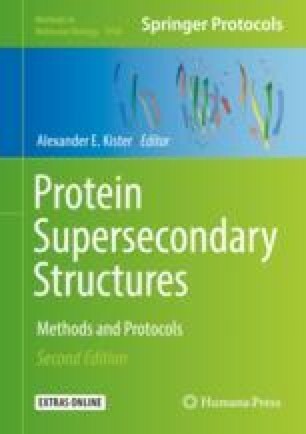 Supersecondary structure (SSS) refers to specific geometric arrangements of several secondary structure (SS) elements that are connected by loops. The SSS can provide useful information about the spatial structure and function of a protein. As such, the SSS is a bridge between the secondary structure and tertiary structure. In this chapter, we propose a stacking-based machine learning method for the prediction of two types of SSSs, namely, β-hairpins and β-α-β, from the protein sequence based on comprehensive feature encoding. To encode protein residues, we utilize key features such as solvent accessibility, conservation profile, half surface exposure, torsion angle fluctuation, disorder probabilities, and more. The usefulness of the proposed approach is assessed using a widely used threefold cross-validation technique. The obtained empirical result shows that the proposed approach is useful and prediction can be improved further. Michael Flot and Avdesh Mishra contributed equally to this work. The authors gratefully acknowledge the Louisiana Board of Regents through the Board of Regents Support Fund LEQSF (2016-19)-RD-B-07.